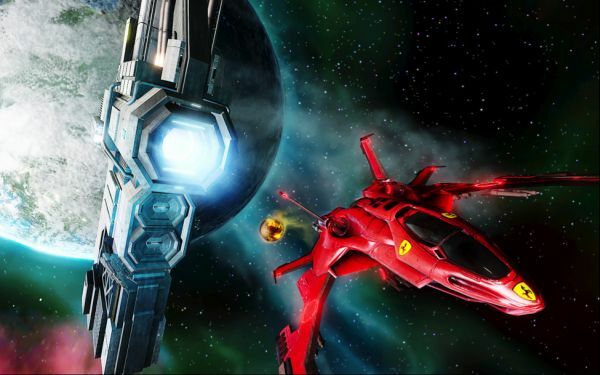 Entropia Universe AB, the largest Massively Multiplayer Online Real Cash Economy (MMORCE) game, announced today it will be auctioning off 25 high-performance spacecraft for its popular real-cash MMO. The new two-seater luxury vessels feature a warp drive for rapid interplanetary travel, along with unrivaled handling and top speed, critical when operating in potentially hostile regions. The Quad-wing Interceptor is a medium fighter capable of space and atmospheric flight. Its 4-wing configuration is commonly seen patrolling space stations and mother ships to fend off pirate attacks. This fast and agile ship is the bread and butter interceptor for most private armies, although it’s also a favorite among privateers due to its weapons load out and speed. Auctions for the fiery-red Quadwing Equus ships will begin on December 9th, 2014, with opening bids of 50,000 PED (5,000 USD). Bidding competition is expected to be fierce. End times for the 25 auction listings will be staggered at various hours of the day, and over a period of three weeks, so that interested parties from all time zones can participate. For more information, please visit: www.entropiauniverse.com. Gaijin announces new tanks introduced in War Thunder: Ground Forces.